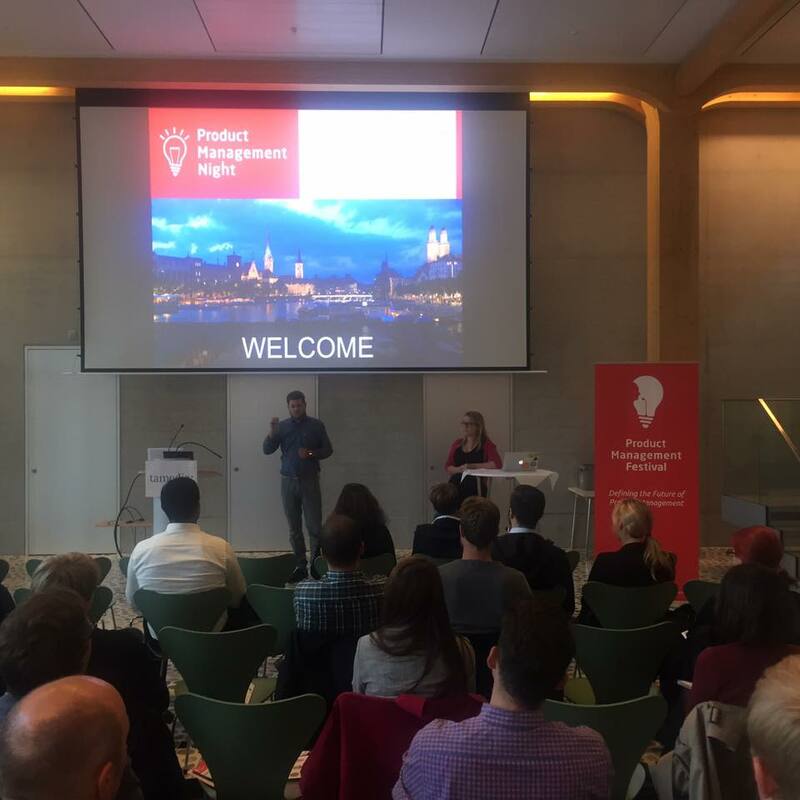 Wednesday, 5th of October, Product Management Festival hosted another Product Management Night for the local Zurich community. After a successful first start at Google, it was time for Tamedia Digital to host the event. If you weren’t able to join us, here is a brief summary of last night’s event. Robin Simon, Head of Product Innovation at Tamedia, opened up about the challenges of moving from a startup environment into the corporate world. Apart from that there are numerous advantages to be considered, like access to expertise and resources inside the company which in the young world of startups are not always available. He took on the challenge and is literally changing things around him and is contributing to the movement towards a more digitalized, change-embracing company, and it’s visible. The new ventures and products under the Tamedia umbrella are successful and innovative. The reason why this meetup is organized is to strengthen the role of product managers inside companies. Product managers are building the future, and by meeting and exchanging we facilitate fast learning. 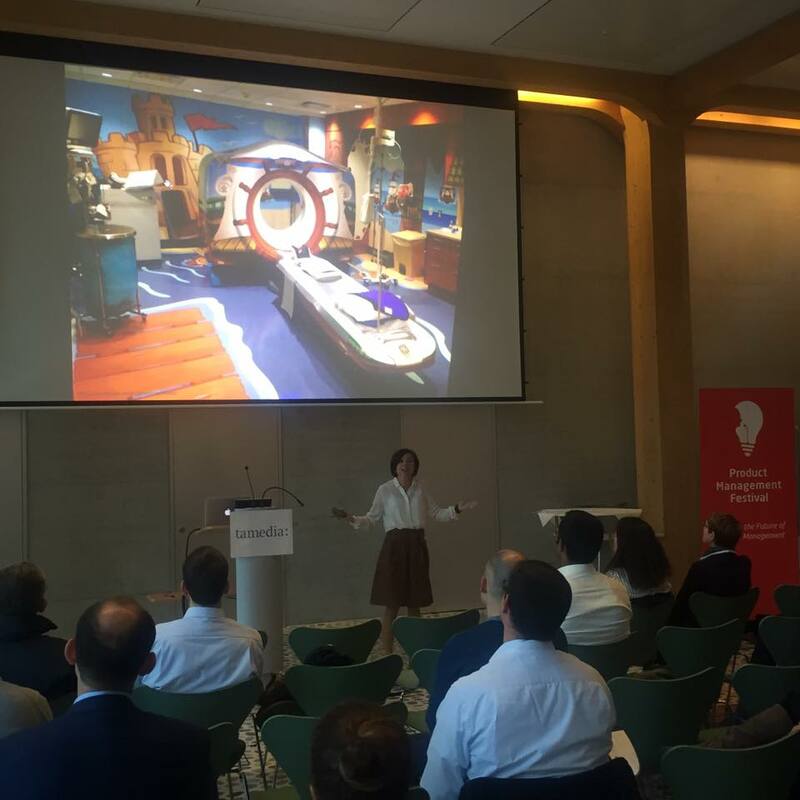 The two speakers of the night, Vera Brannen from UsableBrands and Christof Zogg from Swiss Federal Railways (SBB) shared their experiences on incorporating design thinking and co-development respectively into the product design process. Vera Brannen is the founder and Director of UsableBrands, an agency for digital strategy and user experience design. Her presentation covered why design thinking works for some companies and but not for others. She laid out seven keys to success that, in combination, can enable design thinking to lead to more usable and efficient products. One of the takeaways was the first key: “live the process” – our culture is about design efficiency and sometimes, design thinking is embraced as a process for delivering creativity in a managed and controlled manner. But focusing on processes, especially when it comes to design and innovation, doesn’t foster creativity! There needs to be some balance and understanding of corporate culture and boundaries that help allow design thinking make its way through the fabric of the company. The other keys were empowering the people and providing evidence that their work has meaningful impact, being unafraid of failure on the way to success, knowing the company’s culture and limits, leveraging creative workspaces, integrating design thinking into the business, and ensuring strategic fit. Christof Zugg is the Director Digital Business at SBB, and he oversees the digital communication and commerce channels, including SBB.ch (#3 website in Switzerland) and SBB Mobile (#1 Swiss App). He shared his experience in re-designing the SBB Mobile experience and his efforts to increase the number of people, including late adopters, using the SBB Mobile app in particular. The original mobile app was eight years old and had a fairly sizeable customer base of users. But he noted that over half of the ticket sales were still coming from the ticket kiosks and about 13% were coming from the mobile app. So he and his team set out to learn from and co-develop with their customers, through initiatives like the SBB community, how they could transform the mobile app to make it even more compelling to users. Christof also relies on telemetry to better understand how users interface with the mobile app. For example, can they reduce the number of clicks or add in more coach marks in particular areas. One of the challenges he and his team must contend with is that they don’t target only particular segments of the market; their customer base is anybody who uses SBB. So as they continually receive feedback and develop an ever-increasingly intuitive interface, they can make their mobile app approachable for even those who are not as technologically inclined. He emphasized that it was important to evaluate the costs and benefits of insourcing versus outsourcing to know how best to achieve his goals within his budget and planning. After the presentations, there was a lively Q&A session with the speakers. It was noted that people and attitudes are important to fostering creativity and innovation. And one of the ways to encourage this is to involve people who come from other backgrounds. Failing is praised, but at the end of the day resources are limited, at one point you need to start being successful. Finally, we were reminded to always remember to pay attention to customer feedback and don’t be afraid to take some risks: most successes started off as a series of iterative attempts. 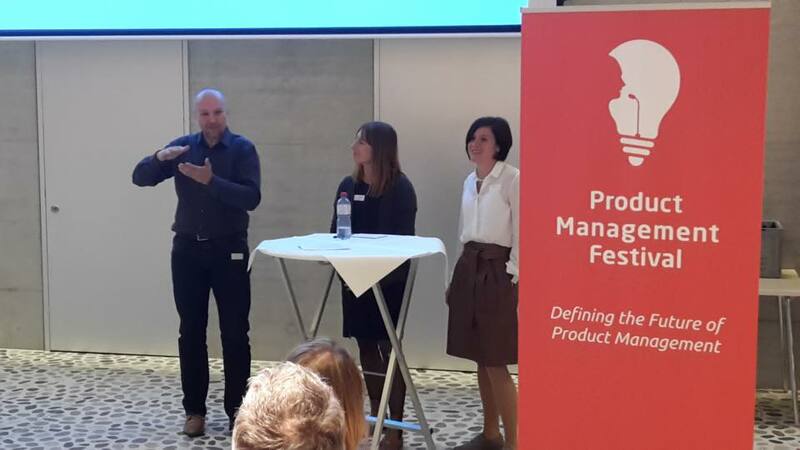 If you liked this event join us for the next Night and for the Product Management Festival (don’t forget to use your discount code).